Relay, 5v, DPDT, PCB Mount, Sealed, 2A 30V DC, 0.6A 125V AC, 0.6A 110V DC. 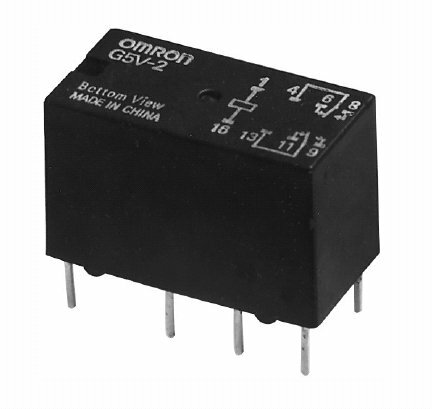 Manufactured by Omron. 0.1" pinout, fits in standard 16-pin DIP IC socket. This product was added to our catalog on Tuesday 04 September, 2007.